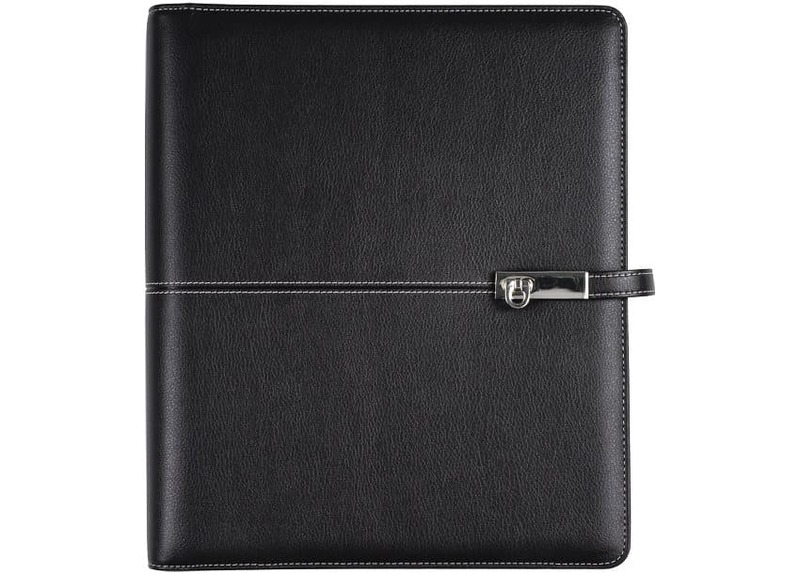 This soft vinyl cover combines a classic black exterior with a contrasting subtle tan interior. 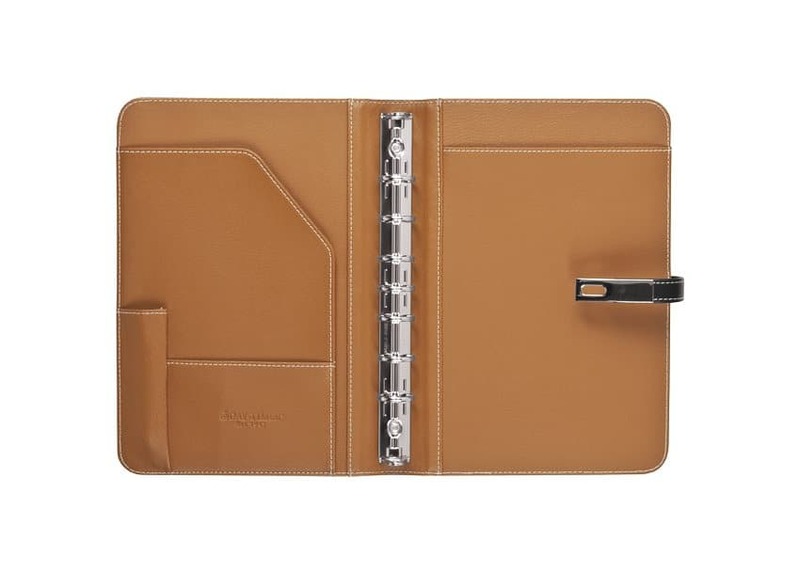 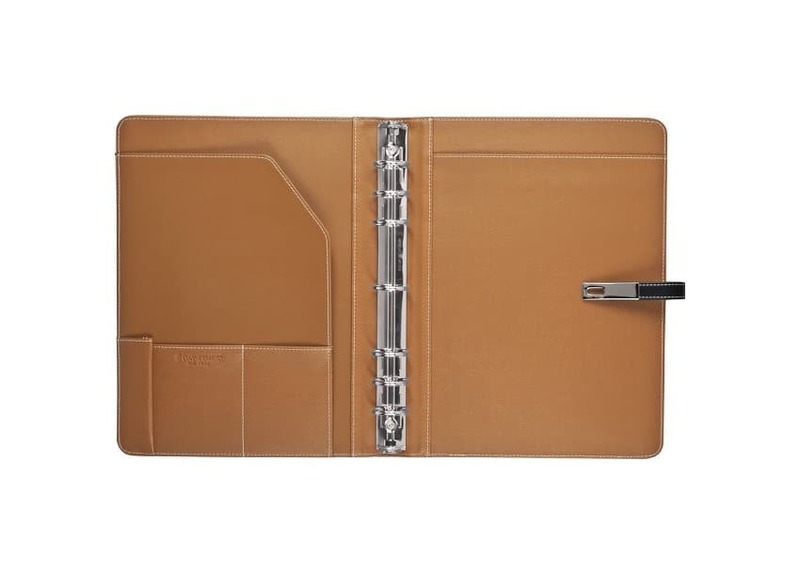 Tan accent exterior stitching and a striking modern silvertone hinged clasp closure and you have an affordable binder that's the height of fashion and sophistication. 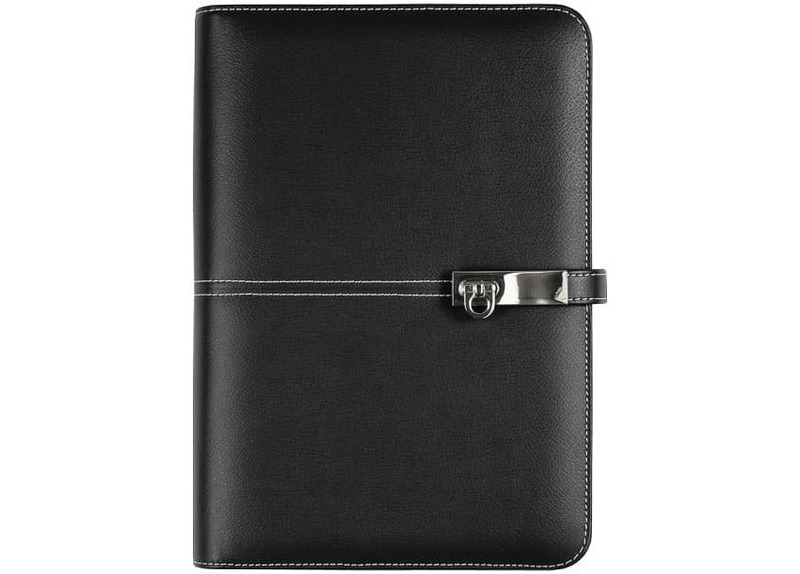 The Slim profile slips easily into crowded business cases or bags.